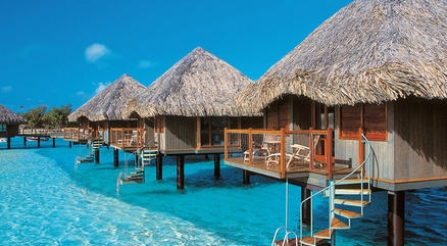 Le Meridien Bora Bora offering some fantastic stay/pay offers! Stay for 6 nights and pay for 4, or stay for 3 nights and pay for 2. 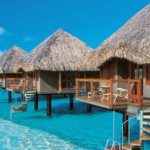 Le Meridien has agreements for other properties on Moorea and Tahiti to make the perfect Tahiti Honeymoon combo and keep rates fantastically low! Give us a call with your dates and we will be happy to put a proposal together for your Honeymoon or Romantic Getaway. Military personnel receive a discount! Be sure to ask us about Military Discounts!